Hello! Are you ready for another Date Your Spouse post? I sure hope so because that's what I'm writing today. (Really awkward if you weren't ready.) 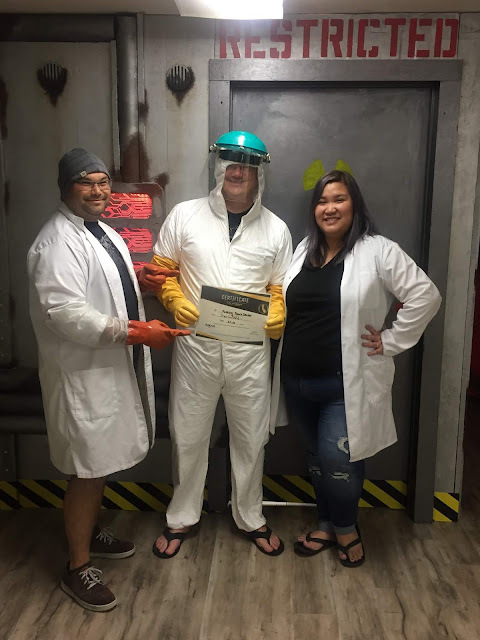 Today, for our most intellectually challenging date yet we tried out California State Escape which is escape room games. 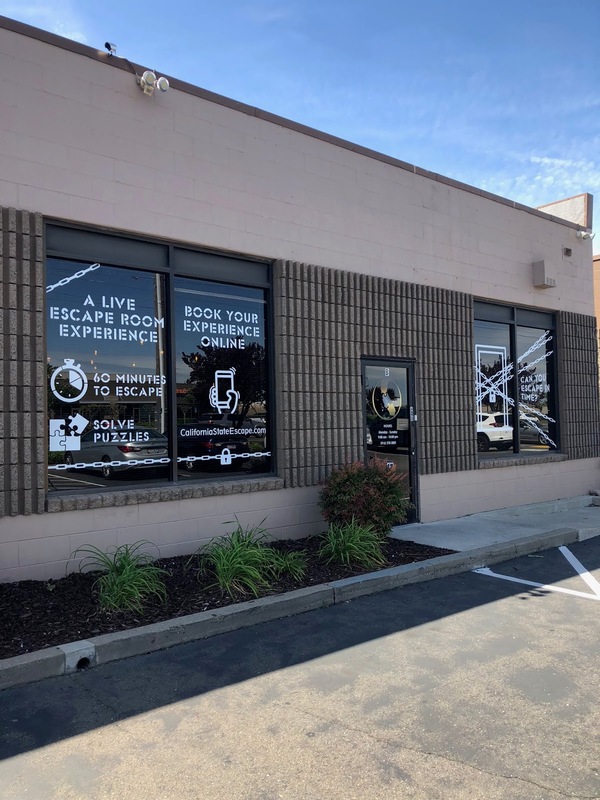 If you haven't heard of escape rooms, they are like a live action puzzle game that you solve. You go to their location and they have rooms set up with themes and storylines. You usually have 60 minutes to try to solve all the puzzles and "escape" the room. (In the state of California, due to fire safety laws, they cannot actually lock you in so usually the door you enter through is open. If you get overwhelmed or need a water or potty break, you can just walk right out.) There are a huge variety of different rooms. There are rooms that are family friendly where people bring their kids or rooms that are super scary. California State Escape (CSE) is one of the more immersive experiences I've had. I've been to escape rooms that were super simply decorated like an office. California State Escape is more like walking into a movie set. Everything is highly detail oriented and you definitely feel like you are in the scenario. Also, they do not pair you with strangers at CSE. You do the room with only the people who you came with. This is nice because it can be really awkward to work with people you don't know. You also have a host who will give you clues if you want. The host watches and listens to you from another room to see where you are in the puzzle. We decided to try their puzzle called Space Sector which is considered to be one of the less difficult puzzles. They usually suggest that you have at least 5 people for this room so it's perfect for a group date. We were only able to find one friend to go with us on this day and we did fine. 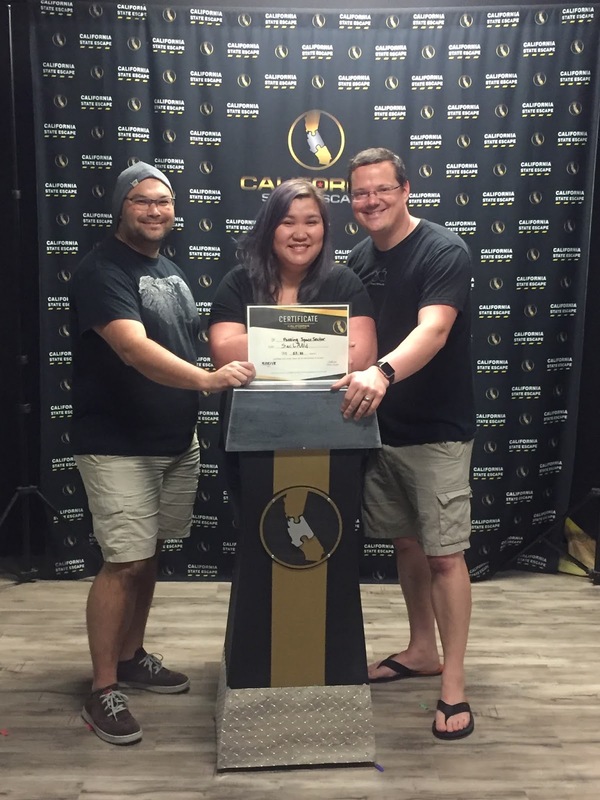 We had a GREAT time at California State Escape! We were able to escape our room with about 6.5 minutes to spare. We were challenged the whole time but never to the point of frustration. There were definitely moments when I thought we wouldn't make it out on time which I think it part of the fun. Our host Brandon was attentive and gave good clues without ever giving away too much. An escape room is a great experience to have before dinner so you have something fresh to talk about over your meal. Overall, I can't wait to go back to California State Escape! The whole experience from booking to checking in to leaving with photos was great! Everyone is really friendly. The detail laden rooms, immersive experience, and complex puzzles justify the cost. This would also be great for work places to have team building events. They are currently working on a new room which I've heard will be WIZARDLY and I am super excited for that one to open! 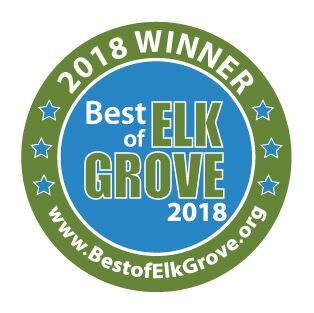 Have you tried an escape room? What are your thoughts? Also, do you have ideas for a date? Please leave them in a comment below! How fun, what a great date night! I LOVE your Date Your Spouse series, love your fresh ideas, it's nice to change up date night from just dinner and a movie. Although those are nice too. 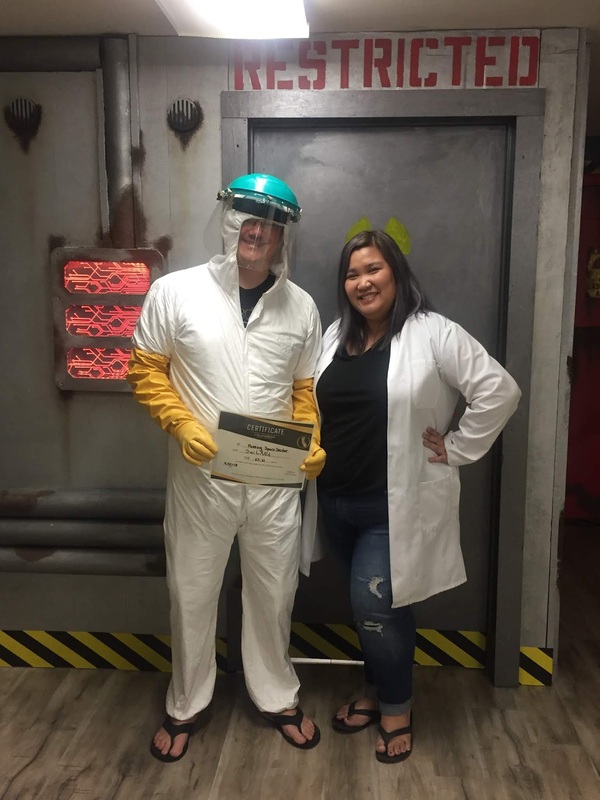 I've never tried an escape room, but the only one I would choose to go with would be my husband! He's so stinking smart and resourceful!!! <3 This looks like a lot of fun! I'm glad to see married couples still make times for dates! That looks like such a fun time! I totally want to try out an escape room.